In 1993, the nonprofit food and nutrition education organization Oldways created the Mediterranean Diet Pyramid — in partnership with the Harvard School of Public Health and the World Health Organization (WHO) — as a “healthier alternative to the USDA’s original food pyramid.” This coincided with rising interest among Americans in an increasingly legendary diet offering culinary adventure (steeped in the recipes and eating traditions of Italy, Spain, Greece and other Mediterranean countries) paired with significant potential health benefits. During this period of newfound appreciation for the diet, we witnessed a rise in popularity of not only ingredients and dishes linked to Mediterranean cuisines (e.g., seafood, whole grains, nuts, herbs, spices and vegetables) but olive oil and olives themselves taking center stage and becoming increasingly associated with “healthy fats” and new eating experiences. As if in response, an increasing number of Mediterranean olive and antipasti bars began to appear in food-forward retailers — often functioning as a destination for consumers eager to explore new alternatives to the traditional deli and salad bar. Today, Americans are still keen on eating experiences that link to the traditional Mediterranean diet, an enthusiasm occurring despite news from WHO in May 2018 that finds that in a sad diet reversal, children from Mediterranean countries are now suffering from very high obesity rates (due, apparently, to modern diets high in “sweets, junk food and sugary drinks”). 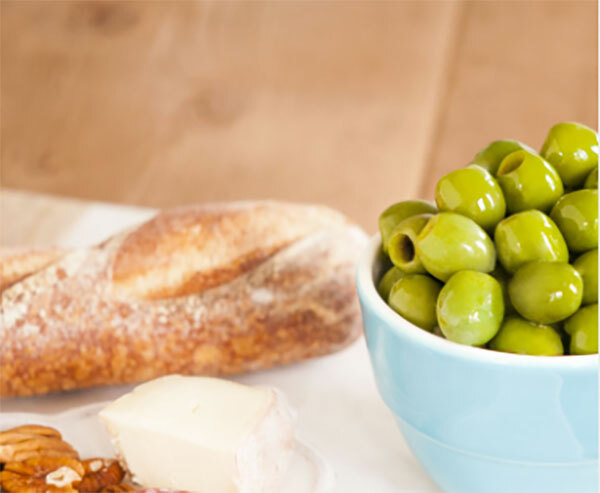 In 1996, just three years after Oldways unveiled the Mediterranean Diet Pyramid, Phil Meldrum opened the doors to FOODMatch, a manufacturer and importer of Mediterranean specialty olives, antipasti and ingredients. Phil and FOODMatch would go on to help pioneer the addition of olive bars to supermarket delis, and for the past several years, Phil has served as a board member of Oldways. To find out more about where Mediterranean-related experiences might be going, we were fortunate enough to speak recently with Brandon Gross, Vice President, Marketing at FOODMatch, a key supplier of not only olive and antipasti bar merchandising solutions for retailers but also a company offering diverse brands and packaged products linking to Mediterranean diet and premium specialty foods. FOODMatch produces and imports a broad range of brands and products and offers services that link to Mediterranean diet and premium specialty foods. We’ve seen consumers embrace elements of the Mediterranean diet and cuisine for years now, including a rising interest in consumption of premium olives, olive oil and nuts. Much of the consumer interest stems from an intersection of perceived health benefits of the Mediterranean diet and their increasing interest in premium food experiences. Do you see a corresponding interest among retailers in working to up their game in creating destination experiences like olive and antipasti bars or products linking the Mediterranean diet? The olive and antipasti bar, ten or fifteen years ago, was the first real revolutionary step taken by retailers to incorporate innovative, new, unique Mediterranean specialty products. Olives were traditionally sold in two “varietals”: green and black. For shoppers to suddenly see ten or twenty different types of olives was a culinary lightning bolt. There are certain types of food and beverages that are universally thought of as having complexities and nuances based on region, varietal, etc. (think of wine, cheese, coffee, chocolate, beer, etc.). Suddenly, olives were on that list. This movement partially coincided with the rise of healthier eating trends: sustainability, traceability, local, organic and natural. Suddenly, the meeting point of food trends seemed to be smack in the center of the Mediterranean. This really caused a boon for our category that is still growing to this day. As health trends evolve and we seek out convenient and functional, ready-to-eat ingredients, Mediterranean food is front and center. It is plant-based, full of protein/fiber/healthy fats/antioxidants, etc., and most importantly, delicious. 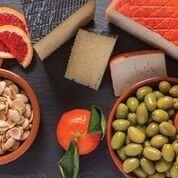 Retailers across the country have embraced not only the olive/antipasti bar but are also using olives and antipasti to create pairings (cheese, spreads, charcuterie, etc. ), grab-and-go meals (quinoa salads, meat/cheese/olive kits), prep foods, etc. Interest in (olive) varietals (e.g., French Picholine, Greek Kalamata, Italian Cerignola) is on the rise with more food-oriented consumers, and we noticed FOODMatch is doing a great job at calling this out. Do they think the U.S. consumer is ready to expand beyond black and green to locale when it comes to olives? 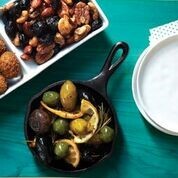 Yes, I think the U.S. consumer now understands that olives are as nuanced as wine or cheese, and if they’re customizing or curating a recipe or cheese plate, they can pick and choose olives that will best accompany their other ingredients. Our focus has always been on education. We want the consumer to understand that taste/texture/color is not only impacted by region but also greatly by the seasonality of the specific fruit. Olives are a living and breathing thing. They have a peak season to be grown, harvested, cured, packed, consumed, etc. Olives are just like fresh produce. Understanding the seasonality and region will help inform on the entire makeup of the specific varietal. The new crop of Kalamata olives typically finds its way to stores sometime in mid/late summer. Earlier in the season, as the olives continue to cure, you may find a more intense smokiness or slight bitterness. As the season progresses, the olives will develop sweeter notes of deep red stone fruit and red wine. The new crop of French Lucque and Picholine arrive each January. Grown exclusively in the Languedoc region of France, the overall yield for these two varietals is typically on the smaller side. 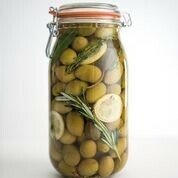 Earlier in the season, these unfermented green olives will be incredibly crisp, firm and bright. As the season progresses, they will become a bit more tender, sweet and buttery. With interest in healthy fats on the rise, do you think olive bars are benefitting from this shift in food values? For all three of these types of consumption, the shopper wants flavor and functionality, and the olive/antipasti bar allows them to customize whatever they’re preparing in whatever quantity they want. With the small-plate trend showing up in home kitchens, does FOODMatch see itself as part of the home cook’s tool kit for “plating” fresh, minimally processed global offerings? I love thinking of the olive and antipasti bar as your personal tool kit for plating diverse and simple meals or snacks. For every job around the house, there is a right tool to get the job done. And for every meal or snack you prepare, there is a Mediterranean ingredient that can brighten and add flavor to the dish. The wonderful part about the olive bar is that there is never a wrong choice. Whether you are making a salad, pizza, one-pot roast, stir-fry, etc., you can pick and choose what looks and tastes good to you. You don’t have to follow a recipe to reap the benefits of the Mediterranean bar. How might FOODMatch see convenience evolving at the retail level so as to continue to meet the demand of the modern food-forward consumer? Might we see elements of your antipasti line (pickled mushrooms, cherry pepper stuffed with chorizo and jack cheese, etc.) show up in more pre-packaged, on-the-go offerings in addition to the self-serve olive bars? I would say that one of FOODMatch’s strengths is our adaptability to shifting markets. Be that in our packaging offerings, product development, quality standards, etc., we are always trying to gauge and set where the market will be in one, three or even five years. Pre-packaged and grab-and-go offerings are a large part of that, and where it makes sense from a quality standpoint, we expect to be active in that market. The truth is that the olive and antipasti bar is just one way to create a destination. The most successful retailers are the ones who are creating multiple Mediterranean touchpoints in their deli or specialty department. For example, it’s challenging to put organic olives/antipasti on the bar unless the entire display is organic. This presents the perfect opportunity for retailers to merchandise our pre-packed organic deli cups by the cheese, charcuterie and spreads. It provides multiple choices and pairing inspiration, and it ensures every shopper will be exposed to our products. Cheese, charcuterie, olives, antipasti, crackers, etc., are all “yes, and” purchases — meaning a shopper picks up one and goes from there “yes, and I’ll take that … and that … and that …” A rising tide lifts all ships — and the Mediterranean category is king of the sea. Going forward, what might FOODMatch be working on in terms of expanding the market for Mediterranean foods? From a product development standpoint, our goal is twofold: stay innovative but remain true to our roots. This means that while we may expand out of the Mediterranean region (like our Aji Chili & Artichoke Salad from Peru or Marinated Fresh Heart of Palm Slices from Costa Rica), we will still focus on foods in which we have a particular expertise so that we can train and educate our retailers on what makes our product best in class. We will also continue to focus on products that hold true to the principles of the Mediterranean diet. For instance, our Turmeric Spiced Hearts of Palm are sustainably grown from farmed palm trees in which the stems can be harvested up to forty times! And obviously, turmeric is a functional ingredient that is very on-trend. So while this product does not come from the Mediterranean region, it is still very much within our expertise. From a product development standpoint, FOODMatch is always active in seeking out the next best ingredient, marinade, spice, etc. The specialty food industry is evolving rapidly. Product and packaging is a huge part of that, and we expect to be right where we typically are: at the forefront of providing solutions to our customers’ challenges.